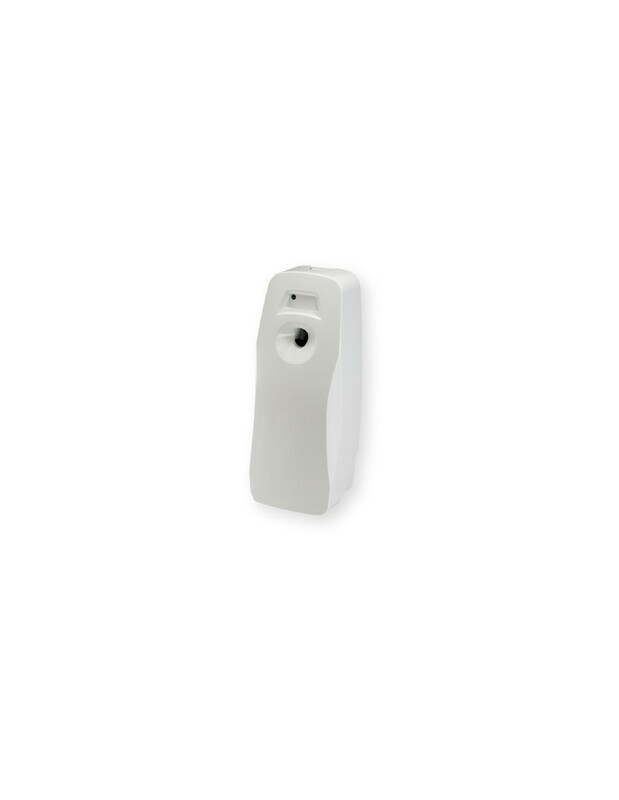 The OdorZone dispenser is THE perfect solution to an odor-free environment ! Airsenz By Odorzone - The battery operated OdorZone dispenser is designed for years of quiet, continuous use. It automatically discharges a time-release metered dose of CFC-Free air freshener refill at a choice of 8 minutes, 15 minutes, or 30 minutes and operates 24 hours a day. Replacement fragrances available. This dispenser will work with any "timed mist" canister. Best used in offices, conference rooms, lobbies, hallways, restaurants, hotels, restrooms or anywhere with odors. 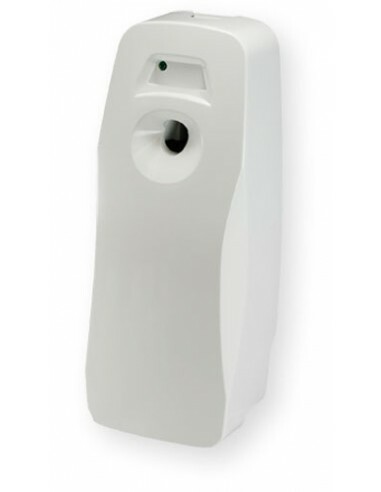 The OdorZone dispenser should be positioned 7-9 feet from the ground where air circulation will carry the fragrance throughout the desired area. The OdorZone dispenser can deodorize a room up to 6000 cubic feet, leaving the room fresh and pleasant. Control Zone OdorZone Air Freshener Kit Size: 3.5" x 4" x 10"